It’s a great question, and not the easiest one to answer. The Davidic Covenant is not discussed very much in 17th century particular baptist works. Samuel Renihan explains in From Shadow to Substance that most of them were primarily polemical – meaning they were responding to paedobaptist errors rather than presenting an overview of particular baptist covenant theology, so they primarily focus on the Abrahamic, Mosaic, and New covenants. Nehemiah Coxe’s Discourse on the Divine Covenants presents the rare systematic overview of particular baptist covenant theology. However, he stops at the Abrahamic Covenant and then hands it off to Owen’s commentary on Hebrews to explain the Mosaic and New Covenants – in which case the Davidic is largely skipped over. My knowledge of all the various works on baptist covenant theology is incomplete, but the next systematic overview given that I am aware of is R.B.C. Howell’s The Covenants (1855) (see notes here). Following that is A.W. Pink’s The Divine Covenants. Both provide a lot of helpful insight on the Davidic Covenant, Pink especially. More recently Jeffery Johnson and Doug Van Dorn offer complete overviews for consideration. Aside from that, one can find statements scattered across various works such as Gill’s Exposition of the Whole Bible, and some comments offered by Samuel and Micah Renihan in their chapter in Recovering a Covenantal Heritage. 2 Sam 7:12 “When your days are fulfilled and you rest with your fathers, I will set up your seed after you, who will come from your body, and I will establish his kingdom. 13 He shall build a house for My name, and I will establish the throne of his kingdom forever. 14 I will be his Father, and he shall be My son. If he commits iniquity, I will chasten him with the rod of men and with the blows of the sons of men. 15 But My mercy shall not depart from him, as I took it from Saul, whom I removed from before you. 16 And your house and your kingdom shall be established forever before you. Your throne shall be established forever. However, just as with the Abrahamic Covenant, Scripture tells us clearly how the Davidic Covenant was fulfilled in the land of Canaan amongst Israel prior to Christ. 1 Chr 22:5 Now David said, “Solomon my son is young and inexperienced, and the house to be built for the Lord must be exceedingly magnificent, famous and glorious throughout all countries. I will now make preparation for it.” So David made abundant preparations before his death. 6 Then he called for his son Solomon, and charged him to build a house for the Lord God of Israel. 7 And David said to Solomon: “My son, as for me, it was in my mind to build a house to the name of the Lord my God; 8 but the word of the Lord came to me, saying, ‘You have shed much blood and have made great wars; you shall not build a house for My name, because you have shed much blood on the earth in My sight. 9 Behold, a son shall be born to you, who shall be a man of rest; and I will give him rest from all his enemies all around. His name shall be Solomon, for I will give peace and quietness to Israel in his days. 10 He shall build a house for My name, and he shall be My son, and I will be his Father; and I will establish the throne of his kingdom over Israel forever.’ 11 Now, my son, may the Lord be with you; and may you prosper, and build the house of the Lord your God, as He has said to you. 12 Only may the Lord give you wisdom and understanding, and give you charge concerning Israel, that you may keep the law of the Lord your God. 13 Then you will prosper, if you take care to fulfill the statutes and judgments with which the Lord charged Moses concerning Israel. Be strong and of good courage; do not fear nor be dismayed. 1 Chr 28:2 Then King David rose to his feet and said, “Hear me, my brethren and my people: I had it in my heart to build a house of rest for the ark of the covenant of the Lord, and for the footstool of our God, and had made preparations to build it. 3 But God said to me, ‘You shall not build a house for My name, because you have been a man of war and have shed blood.’ 4 However the Lord God of Israel chose me above all the house of my father to be king over Israel forever, for He has chosen Judah to be the ruler. And of the house of Judah, the house of my father, and among the sons of my father, He was pleased with me to make me king over all Israel. 5 And of all my sons (for the Lord has given me many sons) He has chosen my son Solomon to sit on the throne of the kingdom of the Lord over Israel. 6 Now He said to me, ‘It is your son Solomon who shall build My house and My courts; for I have chosen him to be My son, and I will be his Father. 7 Moreover I will establish his kingdom forever, if he is steadfast to observe My commandments and My judgments, as it is this day.’ 8 Now therefore, in the sight of all Israel, the assembly of the Lord, and in the hearing of our God, be careful to seek out all the commandments of the Lord your God, that you may possess this good land, and leave it as an inheritance for your children after you forever. David apparently received more revelation beyond what is recorded in 2 Samuel 7. He specifically says that God told him Solomon was the fulfillment of God’s covenant promise. These passages teach that at least promises 1-4 (from our list above) refer to Solomon. Importantly, this additional revelation that David received clarified that his throne would be established forever (meaning passed down through generations) upon the condition of continual obedience to Mosaic law down through the generations. At his deathbed, David again provides further elaboration of the revelation he received. 1 Kgs 3:6 And Solomon said: “You have shown great mercy to Your servant David my father, because he walked before You in truth, in righteousness, and in uprightness of heart with You; You have continued this great kindness for him, and You have given him a son to sit on his throne, as it is this day. We then read how King Solomon was a man of rest and peace, as promised to David (note the fulfillment of the Abrahamic Covenant as well). At the dedication of the temple, Solomon said the promises of the Davidic Covenant were fulfilled. The 5th has reference to a time when David’s offspring disobey Mosaic law. Since that had not yet happened, it had not yet been fulfilled. Note especially that even the promise to establish the throne forever referred to the letter fulfillment. Recall that God told David this promise was conditional. God revealed this to Solomon as well. The same clarification is found in Psalm 132, most likely written by Solomon around the time of the completion of the temple. God’s promise to establish the throne of David and his offspring forever had reference to a continuous succession of kings. They would continue to reign, one after the other as long as they obeyed Mosaic law. God’s dwelling in the temple was also conditioned upon this obedience. He says in v3 above that the temple was consecrated to put His name there forever (cf Ps 132:14). Yet he goes on to state the conditional nature of forever (v7). God revealed the same thing to Solomon during its construction. Note also that Israel’s tenure in the land was now conditioned upon the obedience of the king (1 Kgs 9:7 “then I will cut off Israel from the land which I have given them“). The Davidic Covenant was truly an extension of the Mosaic Covenant of works for life in the land of Canaan. Solomon failed to meet the conditional requirement. 1 Kgs 11:1 But King Solomon loved many foreign women, as well as the daughter of Pharaoh: women of the Moabites, Ammonites, Edomites, Sidonians, and Hittites— 2 from the nations of whom the Lord had said to the children of Israel, “You shall not intermarry with them, nor they with you. Surely they will turn away your hearts after their gods.” Solomon clung to these in love. 3 And he had seven hundred wives, princesses, and three hundred concubines; and his wives turned away his heart. 4 For it was so, when Solomon was old, that his wives turned his heart after other gods; and his heart was not loyal to the Lord his God, as was the heart of his father David. 5 For Solomon went after Ashtoreth the goddess of the Sidonians, and after Milcom the abomination of the Ammonites. 6 Solomon did evil in the sight of the Lord, and did not fully follow the Lord, as did his father David. 7 Then Solomon built a high place for Chemosh the abomination of Moab, on the hill that is east of Jerusalem, and for Molech the abomination of the people of Ammon. 8 And he did likewise for all his foreign wives, who burned incense and sacrificed to their gods. Rehoboam became king, but the people rebelled against him because of his heavy taxes. 10 tribes broke away from Rehoboam and made Jeroboam king instead. These 10 tribes became known as “Israel” in opposition to “Judah” (“Jew” refers to someone from the tribe of Judah, not simply to all Israelites – though a Jew became known as a true faithful Israelite in opposition to the Israelites who broke away and setup a capital in Samaria, thus known as Samaritans – cf John 4:9, 12, 20). 1 Kgs 12:19 So Israel has been in rebellion against the house of David to this day. Interestingly, note that God offered Jeroboam (whom the 10 tribes made their king) the same conditional “letter” promise that he made Solomon. 1 Kgs 11:37 So I will take you, and you shall reign over all your heart desires, and you shall be king over Israel. 38 Then it shall be, if you heed all that I command you, walk in My ways, and do what is right in My sight, to keep My statutes and My commandments, as My servant David did, then I will be with you and build for you an enduring house, as I built for David, and will give Israel to you. This is very interesting because it teaches us that Jeroboam could have become like David and could have his throne established over Israel forever, if he obeyed the Mosaic Covenant. It also teaches us that David’s obedience to the Mosaic Covenant – obedience that is repeatedly mentioned throughout the various revelations of the Davidic Covenant – secured blessings for his offspring. 1 Kgs 11:34 However I will not take the whole kingdom out of his hand, because I have made him ruler all the days of his life for the sake of My servant David, whom I chose because he kept My commandments and My statutes. 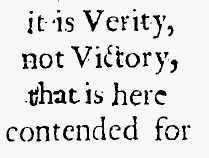 It is not immediately clear exactly what the verse is referring to. It clearly has something to do with God’s favor upon Saul as king. Saul was anointed by God to be king over Israel (1 Samuel 9:16; 10:1). The Spirit was placed upon him as a prophet (1 Sam. 10:10). He was then made king by the people (1 Sam. 10:17-25). He disobeyed Mosaic law and was therefore rejected as king by God (1 Sam 15:10, 26). As we saw above, God said that Saul’s kingdom would not continue forever because he would be replaced by someone else. Samuel said “The Lord has torn the kingdom of Israel from you this day and has given it to a neighbor of yours, who is better than you.” (1 Sam. 15:28). 1 Sam. 26:9 But David said to Abishai, “Do not destroy him, for who can put out his hand against the Lord‘s anointed and be guiltless?” 10 And David said, “As the Lord lives, the Lord will strike him, or his day will come to die, or he will go down into battle and perish. 11 The Lord forbid that I should put out my hand against the Lord‘s anointed. Saul later died in battle (1 Sam. 31). After his death, the tribe of Judah made David their king (2 Sam 2:4). However, the rest of Israel made Saul’s son Ish-bosheth their king. “Ish-bosheth, Saul’s son, was forty years old when he began to reign over Israel, and he reigned two years. But the house of Judah followed David.” (2 Sam. 2:10). Ish-bosheth was murdered (2 Sam 4), then all Israel made David their king (2 Sam. 5:1-5). In sum: Saul sinned so the Lord tore the kingdom of Israel from him and gave it to someone else (David). But he remained the official anointed king of Israel all of his life until he died (in battle). His son then reigned over a portion of divided Israel until he was murdered, at which point David reigned over all of united Israel. Compare with Solomon: Solomon sinned so the Lord tore the kingdom of Israel from him and gave it to someone else (Jeroboam). But he remained the official anointed king of Israel all of his life until he died (of old age). His son then reigned over united Israel for a time until it was taken from him and given to Jeroboam, who reigned over a portion of divided Israel while he continued to reign over Judah. 1 Kgs 11:34 Nevertheless, I will not take the whole kingdom out of his hand, but I will make him ruler all the days of his life, for the sake of David my servant whom I chose, who kept my commandments and my statutes. 35 But I will take the kingdom out of his son’s hand and will give it to you, ten tribes. 36 Yet to his son I will give one tribe, that David my servant may always have a lamp before me in Jerusalem, the city where I have chosen to put my name. 37 And I will take you, and you shall reign over all that your soul desires, and you shall be king over Israel. Consider the blessings and curses of the Mosaic Covenant in Deuteronomy 28. Saul broke Mosaic law and was therefore killed in battle. Solomon broke Mosaic law, but he was not killed in battle. The Lord did raise up adversaries (“wounds inflicted by human beings”) against Solomon after he sinned (“And the Lord raised up an adversary against Solomon, Hadad the Edomite... God also raised up as an adversary to him, Rezon the son of Eliada… He was an adversary of Israel all the days of Solomon, doing harm as Hadad did.” 1 Kgs 11:14, 23, 25) but Solomon was not defeated by them. Instead “Solomon slept with his fathers and was buried in the city of David his father” (1 Kgs 11:43). Was this promised fulfilled in Solomon? This has not been an easy question to answer, but in light of the above, I do believe it was fulfilled in Solomon’s day. God said he would not take the kingdom from Solomon, but would take it from his son instead “for the sake of David,” which is shorthand meaning “because of the Davidic Covenant.” Solomon sinned and God raised up adversaries who did Israel harm by inflicting wounds, but God did not allow them to kill Solomon, who lived and reigned as king until he slept in fulfillment of this covenant promise made to David. This is likely what Solomon was referring to at the dedication of the temple when he said “‘O Lord God, do not turn away the face of Your Anointed; Remember the mercies of Your servant David.’” (2 Chr 6:42) Thus all of the Davidic promises we originally saw were fulfilled in Solomon. 1 Kgs 11:39 And I will afflict the descendants of David because of this, but not forever. God will curse the descendants of David according to the letter of the promise, but there will be a time in the future when this will cease. It will not be permanent. Rehoboam forsakes the Lord so God sends judgment upon Judah. Psalm 89 was most likely written during this time when the Davidic kingdom had been fully established but then lost to Israel’s old enemy Egypt (See Spurgeon’s introductory comments, Gill’s, and Knife’s – pages 88ff). In this psalm we see a hope of some future fulfillment of the Davidic Covenant (that we don’t really see in Psalm 132), despite the fact that Scripture teaches the Davidic promises were already fulfilled. Verses 19-37 recall what God promised in the Davidic Covenant, but with new details and a new emphasis. The “forever” clause is no longer understood to be conditional. And the witness in the sky is faithful.” Selah. Previously God said the establishment of the throne forever was conditioned upon the obedience of David’s sons (1 Kgs 9:4-5; 1 Chr 28:7). Now the “forever” promise is to be fulfilled in spite of their disobedience. What are we to make of this discrepancy? If we rejected the divine inspiration of Scripture we could simply say that Ethan the Psalmist misunderstood the Davidic Covenant. If we rejected the truthfulness of God we could say He contradicted Himself. Neither are an option. Neither can we say the Davidic Covenant only really had reference to a distant future son, not to Solomon or Rehoboam. The best way to resolve the tension is to understand the Davidic promises as having a double meaning, or a dichotomous nature. In this podcast series and this post, I explain how God promised two things to Abraham. The first promise was that Abraham would have numerous offspring that would become a great nation and possess the land of Canaan (Gen 12:2, 7; 13:15; 15:5, 7, 18-21; 17:2, 7-8; 22:17; 24:7; 26:3-4; 28:3-4, 13-14; 35:11-12; 46:3; 48:4). The second promise was that Abraham would be the father of the promised seed of the woman who would bless all nations (Gen 12:3; 18:18; 22:17b-18; 26:4; 28:14; Gal 3:8, 16-17). The first promise was given as a picture for us to better understand the second promise. It was typological of the second promise in that the kingdom of Israel was a shadow of the kingdom of Christ. We can take a similar approach to the Davidic Covenant. God promised two things to David. The first promise was that David would have numerous offspring that would rule over the nation of Israel in the land of Canaan with God in their midst. The second promise was that David would be the father of the promised seed of the woman who would bless all nations. The first promise was given as a picture for us to better understand the second promise. It was typological of the second promise in that the throne of David was a shadow of the throne of Christ. (Consider Augustine on this point). The trouble is that in the Davidic they seem to overlap entirely, as Pink noted. Though aided by the Spirit of prophecy, perhaps what allowed David and Ethan the Psalmist to see a future fulfillment beyond Solomon was the very end of the oath. David understood that the promise to establish the throne of Solomon’s kingdom forever (v 13) was conditioned upon Solomon’s obedience to the law (recall 1 Chr. 28:7). But then God goes on to say that even if Solomon commits iniquity, David’s kingdom and throne shall be established forever. So Solomon’s kingdom (letter fulfillment) will be established forever if he obeys the Mosaic law, but David’s kingdom (spiritual fulfillment) will be established forever even if Solomon commits iniquity. I think this is precisely what David and the prophets latched on to. Re-read Psalm 89 with this in mind. This would explain why the tribe of Judah was separated from the 10 tribes and spared from their annihilation. Previously, all 12 tribes were spared from the Mosaic curse because of God’s promise to Abraham. But because the first Abrahamic promise had been fulfilled in the reigns of David and Solomon, it no longer preserved all of Israel from the Mosaic curse (Gen 15:11; Deut 28:26). The second Abrahamic promise (yet to be fulfilled) was narrowed to the seed of David and thus Judah was spared. Israel was destroyed and scattered by Assyria, but God spared Judah from Assyria. Judah’s kings later followed in the steps of Israel and forsook the Lord but God did not destroy and scatter them all, like he did to the 10 tribes. Instead, he saved a remnant who were taken captive into the land of Babylon. Part of this judgment upon Judah included the termination of David’s throne even over Judah. David’s offspring never again reigned as kings over Judah. Jeremiah 22:24 “As I live,” says the Lord, “though Coniah the son of Jehoiakim, king of Judah, were the signet on My right hand, yet I would pluck you off; 25 and I will give you into the hand of those who seek your life, and into the hand of those whose face you fear—the hand of Nebuchadnezzar king of Babylon and the hand of the Chaldeans. 26 So I will cast you out, and your mother who bore you, into another country where you were not born; and there you shall die. 27 But to the land to which they desire to return, there they shall not return. Immediately after this curse, Jeremiah proclaimed the future restoration of Israel and Judah through a righteous branch of David. Jeremiah23:1 “Woe to the shepherds who destroy and scatter the sheep of My pasture!” says the Lord. 2 Therefore thus says the Lord God of Israel against the shepherds who feed My people: “You have scattered My flock, driven them away, and not attended to them. Behold, I will attend to you for the evil of your doings,” says the Lord. 3 “But I will gather the remnant of My flock out of all countries where I have driven them, and bring them back to their folds; and they shall be fruitful and increase. 4 I will set up shepherds over them who will feed them; and they shall fear no more, nor be dismayed, nor shall they be lacking,” says the Lord. Though spoken in prophetic idiom using the language and imagery of Israel and Canaan, these promises of a future restoration referred to eschatological Israel (the church of Christ) and the kingdom to be established forever was the kingdom of heaven (for more see here). * tn Heb “the reliable expressions of loyalty of David.” The syntactical relationship of חַסְדֵי (khasde, “expressions of loyalty”) to the preceding line is unclear. If the term is appositional to בְּרִית (bÿrit, “covenant”), then the Lord here transfers the promises of the Davidic covenant to the entire nation. Another option is to take חַסְדֵי (khasde) as an adverbial accusative and to translate “according to the reliable covenantal promises.” In this case the new covenantal arrangement proposed here is viewed as an extension or perhaps fulfillment of the Davidic promises. A third option, the one reflected in the above translation, is to take the last line as comparative. In this case the new covenant being proposed is analogous to the Davidic covenant. Verses 4-5, which compare David’s international prominence to what Israel will experience, favors this view. In all three of these interpretations, “David” is an objective genitive; he is the recipient of covenantal promises. Of these three options offered in the NET footnote, I believe the second (the new covenant is a fulfillment of the Davidic covenant) would fit best with all that we have discussed above. However, the footnote goes on to mention another possibility. We saw a similar idea above in Solomon’s prayer for wisdom. The ESV has “You have shown great and steadfast love to your servant David my father, because he walked before you in faithfulness…” In a WTJ essay, Peter J. Gentry argues for a subjective translation and interpretation (read a summary here), with the important qualification that it is referring to Christ, not David. text from the point of view of an objective genitive is a failure to see that a future, not historical, David is in view and a failure to observe properly the trajectory of the covenants in the OT and the flow of thought both in the book of Isaiah as whole and in the near context of ch. 55. The fact that some interpreters use such renderings in English as “the promises of grace to David” or the aforementioned “unfailing kindnesses promised to David” — paraphrases which actually go beyond linguistic parameters for a literal translation as objective genitive—really show how awkward it is to construe it this way. The blessings do come to the nations, not because Yahweh’s promises to David are democratized in the way some think, but because a new David who is an obedient son succeeds in bringing Yahweh’s Torah to all humans. In conclusion, “the faithful kindnesses of David” mentioned in Isa 55:3 are kindnesses performed by David—a rubric for the future king in this text. The faithful or obedient acts of loyal love are those of the Servant King in Isa 53 whose offering of himself as an ʾās̆ām and whose resurrection enable him to bring to fulfillment the promises of Yahweh in the Davidic Covenant and is at the same time the basis for the New or Everlasting Covenant. This future King then fulfills the roles required for the king in Deut 17 and 2 Sam 7 by bringing the divine instruction or Torah to Israel (Deut 17) and, indeed, to all the nations (2 Sam 7:19). He is therefore a leader and commander of the peoples and becomes a covenant witness in himself to the nations. This is exactly how Acts 13:34 interprets Isa 55. Though not necessarily holding to the subjective translation, Benjamin Keach interprets “David” in 55:3 as Christ in a similar fashion. Men that belong to this, are either singular or conjunct, viz., the whole people. Single or singular, as David a man according to God’s own heart, who is put for the Messiah, Isa. lv. 3, “I will make an everlasting covenant with you, the most sure mercies of David.” R. Kimchi, clearly asserts, that the Messiah is to be understood here, and it evidently appears from verse 4. Some understand by “the mercies of David,” the blessings that God promised David, viz., that the Messiah and Savior of the world should be born of his race; which is the same thing in effect with the former explication. the sure mercies of David: That is our Lord Jesus Christ, he is the true Antitipical David. Sure, because they are Mercies granted to us thro’ Christ’s suretiship; and when a Sinner is brought into the bands of the Covenant, God is said to make this Covenant with him, i. e. he actually entering then thro’ Christ into Covenant with God; but our standing then in it, is upon the account of Christ’s Covenant with the Father for us. THE DISPLAY OF Glorious Grace OR THE Covenant of Peace Opened: In Several SERMONS. [Acts 13:34] “I will give you the sure mercies of David”; that is, of the Messiah; by which are meant the blessings of the sure and well ordered covenant of grace, which the Messiah by his sufferings and death was to ratify and secure for all his people: now had he only died, and not been raised from the dead, these blessings had not been ratified and made sure unto them; therefore, when God promises his people, that he will give them the sure mercies of David, or the Messiah, he promises that the Messiah shall not only die to procure mercies and blessings for them, but that he shall rise again from the dead, to make them sure unto them; so that these words are pertinently produced in proof of Christ’s resurrection. Since I don’t know Hebrew (or Greek) I can’t comment on whether the subjective or objective translation is correct. If it is objective, it seems the meaning is that the establishment of the everlasting new covenant is the spiritual fulfillment of God’s promise to establish the throne of David forever (in which case “David” would not be a reference to Christ in Is. 55:3 – Spurgeon adopts this interpretation). However, I do believe that Is. 55:4-5 refer to Christ, not David. If it is subjective, then it refers to Christ and his work given as the new everlasting covenant. The New Testament teaches that the promises of the Davidic Covenant were also fulfilled in Christ. Acts 13:21 And afterward they asked for a king; so God gave them Saul the son of Kish, a man of the tribe of Benjamin, for forty years. 22 And when He had removed him, He raised up for them David as king, to whom also He gave testimony and said, ‘I have found David the son of Jesse, a man after My own heart, who will do all My will.’ 23 From this man’s seed, according to the promise, God raised up for Israel a[f] Savior—Jesus— 24 after John had first preached, before His coming, the baptism of repentance to all the people of Israel. If he commits iniquity, I will chasten him with the rod of men and with the blows of the sons of men. 15 But My mercy shall not depart from him, as I took it from Saul, whom I removed from before you. The original says that if Solomon sins, God’s mercy/lovingkindness would not depart from Solomon. The Psalm 89 re-iteration says that if David’s sons (i.e., Solomon and Rehoboam, at the time) sin, God’s mercy/lovingkindess would not depart from David – meaning he would not break His covenant promise to David to establish his throne forever (through Christ). Thus this promise has both a letter and a spirit fulfillment. (Many read these verses in Psalm 89 as a promise to the antitypical David (Christ), and therefore as a promise about Christ’s offspring, believers. Though we sin, God’s mercy/lovingkindness will not depart from his love for us in Christ. This may be a legitimate reading insofar as most of the psalms about David refer both to David and to Christ, but if these verses are read in reference to Christ, then they refer to a promise of the Covenant of Grace, or Covenant of Redemption, not to a promise of the Davidic Covenant). In conclusion, the Davidic Covenant promised David 5 things. Those 5 things received a letter fulfillment in Solomon. However, the promise to establish David’s throne forever at its first mention (2 Sam 7:12) was a conditional promise concerning Solomon’s kingdom (cf 1 Chr 28:7; 1 Kgs 2:4; 8:25; 9:4-5), while it’s second and third repetition (2 Sam 7:16) was an unconditional promise that would be fulfilled in spite of the sin of David’s offspring – thus pointing to a greater fulfillment beyond the letter fulfillment in earthly Canaan. This greater spiritual fulfillment referred to the birth of Christ, the Messiah, and the establishment of his throne over the kingdom of heaven forever, of which Solomon’s earthly kingdom in Canaan was a type.